The United States Department of Agriculture is celebrating 30 years of the Conservation Reserve Program known to most simply as CRP. The basics of the program, though there are many wrinkles and enhancements, landowners enroll acreage in a 10-year to 15-year CRP lease requiring that land remain out of production, not farmed or developed, during the lease term. The landowner is compensated by the US taxpayer at varying rates depending on area and type of land which can be from $35 to over $200 an acre. The program has had some successes countering a mass production mentality. In 2007 at its height there were 36.7 million acres enrolled across the country. Today, congress has limited the amount of land permitted within the program to a total of 24.1 million acres at a cost of $1.6 billion annually. That’s the fewest amount of acres since 1988. With increases in commodity prices over time that track with a hungry and growing global population, the lease rates have had difficulty keeping economic pace. One cannot deny that CRP acreage can be an asset for upland game and other wildlife. 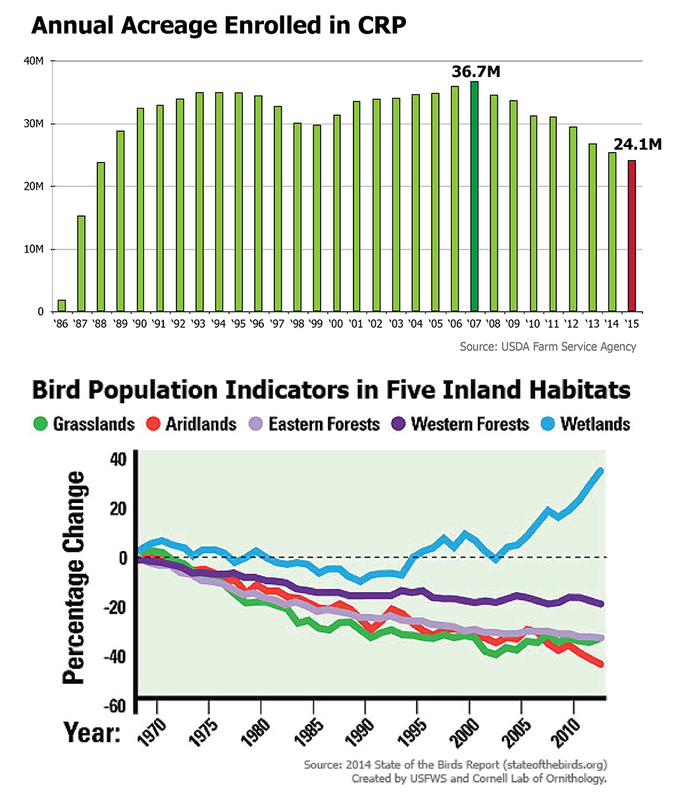 But here’s the rub: Even at its maximum enrollment in 2007, the trajectory of all upland bird populations was downward. Resident game bird numbers have been documented declining for at least six decades and at the creation of CRP in 1985 through its peak, those declines have not been arrested. When conservation organizations, politicians and government agencies place CRP on a pedestal, the height should be limited by an acknowledgment that the program alone cannot and will not be the savior of wildlife and wild places. How do we know this? 30 years of history overlaid by persistent declines in upland birds that show no correlation to the amount of acreage enrolled in CRP. The authorization for the Conservation Reserve Program resides in the 959 pages of the Farm Bill which has become one of the most contentious pieces of legislation in the halls of congress. That’s not going to change. Lawmakers who want expanded subsidies for American farmers are equally countered by those who want the government out of the farming business. 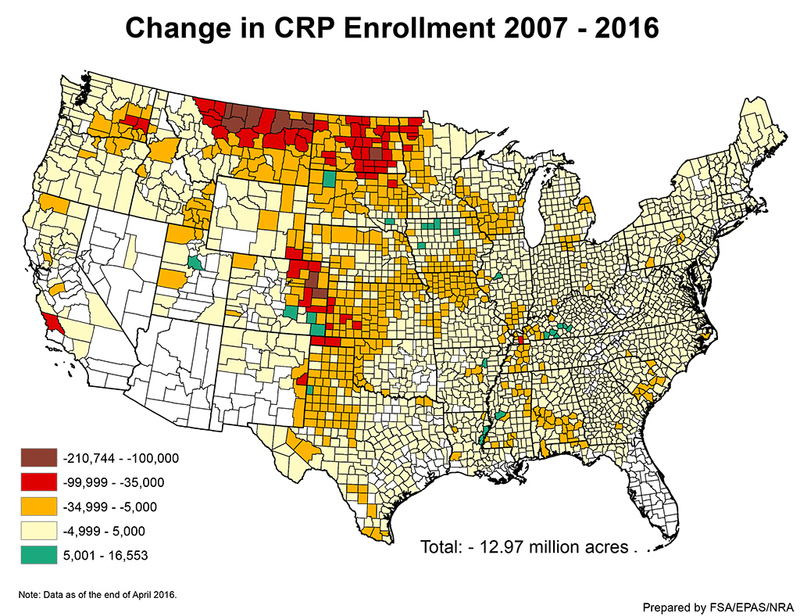 Holding out hope for CRP expansion to reign with constantly favorable political tailwinds on the current five-year renewal cycle of legislation seems folly. 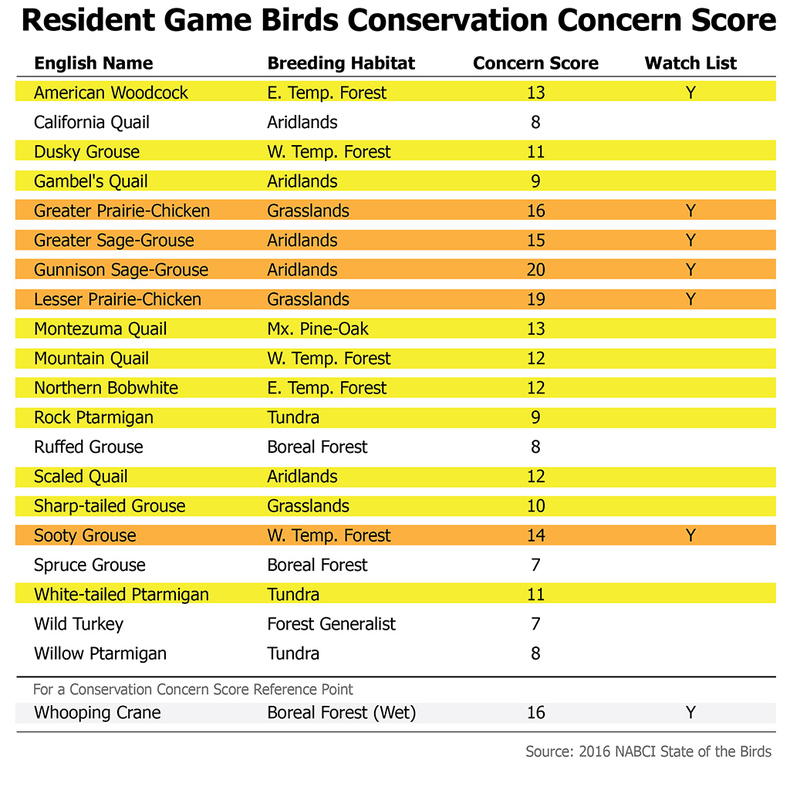 According to the North American Bird Conservation Initiative’s annual State of the Birds report, 75% of resident game birds are of conservation concern. Six of those species are at risk of extinction. This should be a wake-up call. Resident game birds need conservation solutions that rise above commodity competition. This is exactly why the National Wildlife Refuge system has been such a success for migratory birds. While celebrating 30 years of CRP, the best birthday wish we can grant is an honest conversation about the 60 years of documented bird declines that the program can’t fix on its own. I agree, results have been disappointing. Oddly enough, the biggest success I witnessed, in Bailey County Texas, was the explosion of the Mule Deer population. This is in locations where the Prairie Chicken should have flourished (In my uneducated opinion). 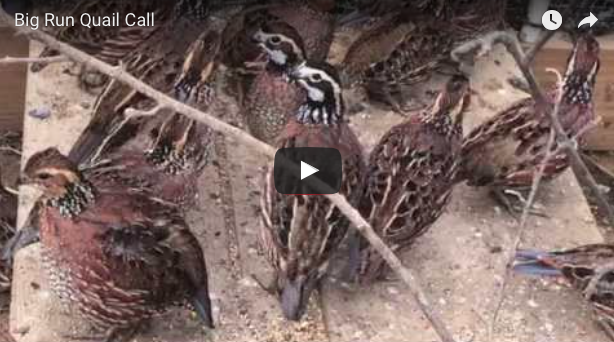 I have hunted upland birds for 50 years, primarily quail of several types. CRP has not been as game productive as when acreage was used for Milo, & or Soybeans & Corn. Hedgerows have been cleared, into brush piles where the birds went, brush piles have rotted away leaving no habitat for the gamebird. Milo in Nebraska, Kansas was the greatest producer of Quail/Pheasant, it offered food and shelter from snow , or ice storms in one setting ! One thing we found was that red milo was more productive than white varieties for no obvious reason? This may sound odd, but keep in mind this observation is over a 50 years. 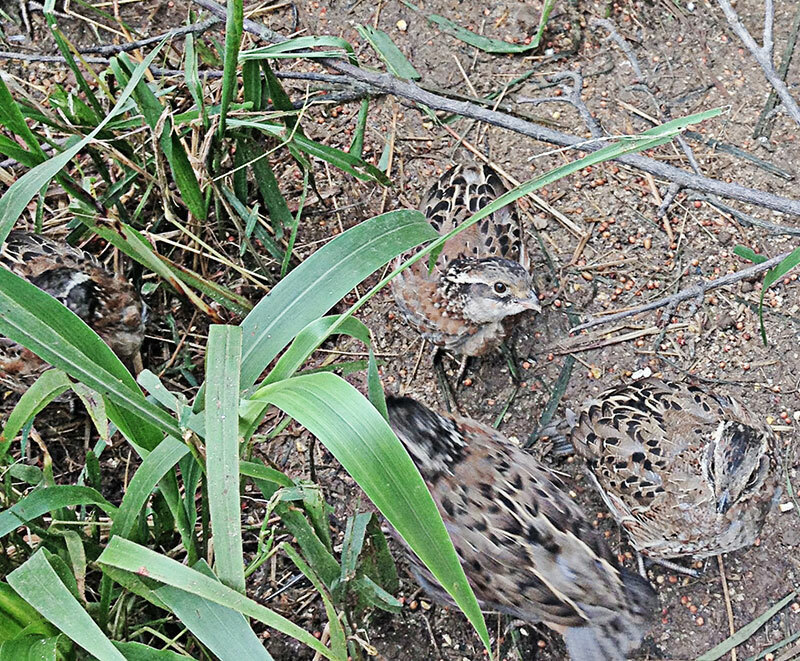 I live in Kentucky, where quail are nearly extinct, due largely to farming practice, the advent of using Lime on land to make Fescue grass flourish, and loss of habitat. 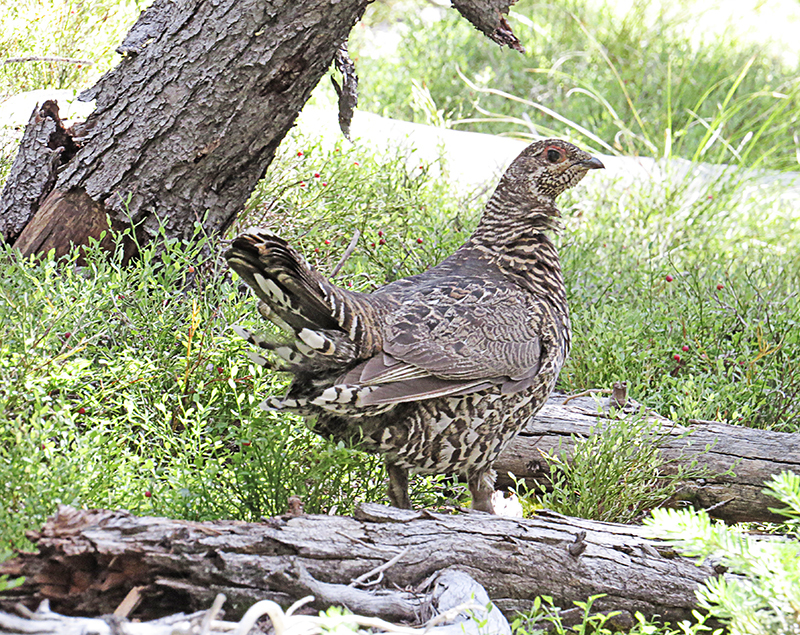 Our Ruffed Grouse population is diminishing rapidly, in this writers opinion, due in part to Wild Turkey introduction. They are competitors for some of the same food, territory, plus the turkey is a threat to any smaller bird that nests on the ground, as they are to mice, snakes, etc. Quail, where I hunt in the SW, Texas, New Mexico, Oklahoma, are very dependent on the amount of rainfall at the proper time. Large fencrow to fencerow farming operations offer little to support gamebird population. I have hunted upland birds from Minnesota to Mexico, and from Kentucky to Montana. I pray that something can be found to allow our great sport to continue so that my grandsons may pass to their sons the thrill of following a fine Bird dog on a frosty morning. Searching for that special covey, or hear the thunder of a Grouse, or the cackle of a rooster Pheasant that stirs their blood as it does mine. I feel that CRP concentrates it’s resources into large acreages of mono culture grasses that only have begun to break up into weedy,useful areas when they are again plowed under. Farmers, who proudly believe they own the property they farm and who are part of a farming culture that does not value nature and does not care sufficiently about the effects of erosion on the well being of the rest of the country and whose farming practices are so efficient and mechanized that every square inch of land can be, and is, farmed, cause great harm to wildlife when no area for nesting, loafing, breeding or wintering remain. CRP is fine, but I agree with the implication that the purchase and set aside of large tracts of land are needed in areas where species are most threatened. In the same way that I don’t own my own yard and the government can tell me I may not park ten cars in my yard or open a Starbucks in my driveway, the government, we, can tell farmers that while we applaud the incredible advances in farming, some restrictions have to be implemented for the preservation of flora and fauna that will otherwise go extinct. Not all of those restrictions, maybe none of them, require compensation, but through careful consderation and implementation such a program might really affect many more acres in small ways that will have the desired effect on commodity prices and conservation of flora and fauna, soil and stream. Mr. Catlin, you west-coasties (my guess) have all the answers – though very little in the experience category. Have you even seen the CRP that you describe? In our part of the country, there is harvested cropland and drainages thick with vegetation inter-mixed with fields of CRP. The mono-culture you describe is generally a wild rye “mix” which by definition cannot be referred to as “mono-culture”. My suggestion to you, and folks like you, is hunt shooting preserves where they will pamper and put up with your ranting. Don’t go around telling people their business or how you know more about it. I doubt you get many invitations to hunt on real farms for wildlife but those of us that do, have a difficult enough time earning trust without you “professional” know everything’s, masquerading as hunters, telling farmers what they should be doing. Therefore, I will leave you with this advice – relax. As taxpayers year by year we are all steadily contributing to the destruction of upland and many other kinds of wildlife habitat through federal agriculture subsidies of modern agricultural practices that focus on squeezing as much cultivated agriculture and monoculture out of the environment as possible with a significant disregard for stripping the land of wildlife diversity and resource conservation. Wouldn’t it make much more sense to focus a significant amount of effort to alter those subsidy programs so that anyone who uses them must also be required to maintain specifically arranged percentages of that acreage that has long term benefits to the environment and wildlife? Modern AG practices are clearly the most significant source of the problem. It is where counter efforts should be focused. Doing otherwise is like struggling against ourselves. Nibbling around the edges with many small separately focused organizations and programs that establish tiny wildlife honey holes or a sparse number of remote wildlife preserves just won’t be effective in the long run. This is not only in the best interest of the hunting community but also includes that of any organization or citizen who is interested in being active in appreciating and taking part in a wildlife healthy world to live in. CRC needs to work with post mine land (coal mining companys) and use these thousands of acres of reclaimed land that makes perfect habitat. west Virginia, Kentucky has an abundant of property. Don’t let the word ” coal ” cause bird hunters to miss this great habitat. Great idea Glenn! Wonderful state you have for upland birds and not many know it. Would love to see mining companies and citizens work together on something like this.